What is insurance? Insurance is a two-party agreement between the insurance company and the customer (in that insurance is called the policy holder). In the agreement stated that, insurance companies receive insurance premiums to provide compensation to policyholders due to loss, damage/illness, or loss. In insurance, there are three elements that serve as the main guideline for the insured risk reduction mechanism. What are the elements in insurance? Premium is an obligation that must be paid by the insured (which will be included in insurance) to the insurance company. The obligation to pay premiums is a form of desired risk transfer service. Don't forget the Squad, paying this premium must be paid off. If you join insurance, you have to pay this premium. The number of figures varies by insurance company. The party paying the premium has the right to get a policy. The insurance policy itself is a contract or agreement issued by the insurer to the insured. What are the contents of the insurance policy? It contains all the provisions that guarantee what losses are borne by the insurance until the insured data is clearly stated. 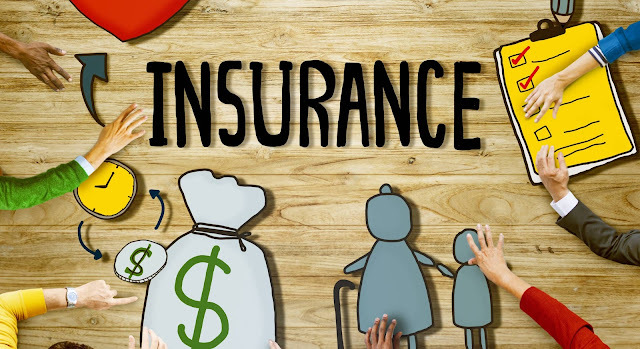 The function of insurance is to transfer risk from one party, namely the insured (customer) to another party, namely the insurer (insurance company). Okay, if the claim is a filing process for compensation compensation requests from the loss experienced. For example, like the picture of the accident above. For example, a car damaged by the accident, the damage was borne 100% (including replacement of the engine, car body, etc.). The insured party who registers the car to the insurance party, can file a claim, Squad. Keep in mind, yes, before making a claim, first check the risk has been insured and listed in the policy or not. There are many things because the insured does not read the insurance policy, when a loss occurs, it comes to the insurance company and asks for a claim. But, the claim was rejected because the policy was not covered. Finally, the insured was embarrassed because he did not carefully read the insurance policy. After you know about the meaning of insurance, we now discuss the various types of insurance products. There are four types of insurance products that we will discuss namely, health insurance, life insurance, education insurance, and general insurance. Life insurance provides protection if there is a risk of death to the policy holder. For example, providing long-term protection to the heirs of policyholders if they are dead. Squad, has anyone joined insurance education yet? Try you ask your parents. Educational insurance can be said as a future savings that guarantees the education of the children of policyholders (parents). Usually, insurance premiums are paid since the child is born until the grace period specified in the agreement. General insurance is a form of risk coverage that provides compensation to policy holders for losses suffered. An example of this general insurance is motor vehicle insurance. There is insurance that guarantees vehicle damage of up to a few percent. Insurance is a two-party agreement between an insurance company and a customer (policy holder). Various types of insurance products are health insurance, life insurance, education insurance, and general insurance. How now, do you understand the definition and kinds of insurance products? If you are still confused, please learn more about insurance to experienced insurance experts.